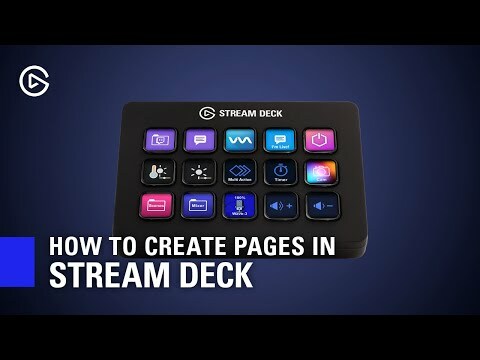 EVOLVE YOUR CONTENTSubstantially grow your production rate with the Stream Deck, the perfect hardware setup for every type of livestreamer. Designed with the greatest accessibility in mind the Stream Deck features fifteen fully customisable LCD keys primed to launch unlimited actions. Advanced yet easy-to-use software where you can expand your content prospects and focus on what matters most, keeping your audience entertained and fully engaged. 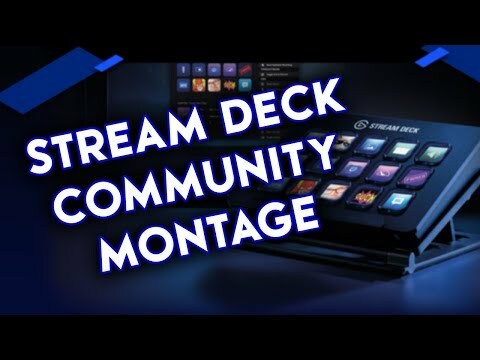 TAKE CONTROL Creating livestream content has never been easier with fifteen customisable LCD keys featured on the Stream Deck. Take control the LCD keys, which activate unlimited actions with one-touch operation. This level of control was only exclusive to mainstream entertainment broadcasters, now you can witness the potential for your own creative content. When assisted by the best tech on the planet you can go further, simply tap to switch scenes, launch media, adjust audio, and much more. 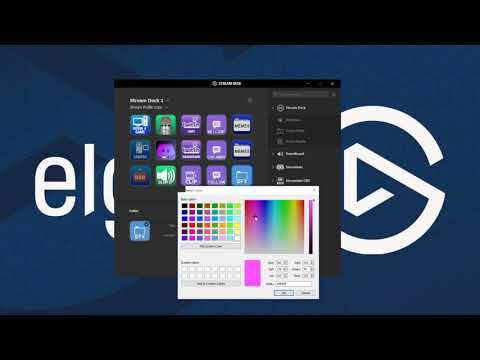 STREAMLINE YOUR SETUP The Stream Deck perfectly combines your preferred tools and media platforms in one intelligent package enabling you to multitask effortlessly. Simply tap for complete access to OBS Studio, XSplit, Streamlabs, Twitch, YouTube, Twitter, Mixer, and more. The direct integration feature automatically detects your scenes and sources and even puts your social media networks to work. 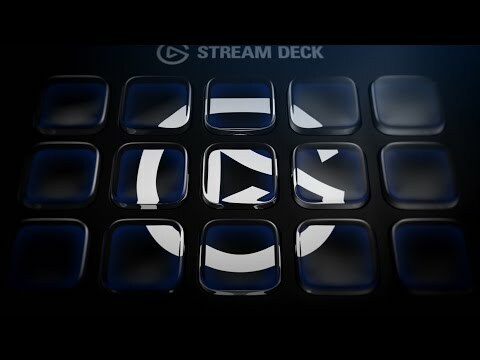 CUSTOMISE FOR DIFFERENT GAMES AND APPS The Stream Deck is completely customisable you can personalise keys with creative icons and switch between unique dedicated profiles for different games and apps when need be. Simply drag and drop actions on to keys and tap to switch scenes, launch media, tweet your feats, and more. For total access turn keys into folders and share them with fellow creators. ADD A PERSONAL TOUCH With automated alerts, you can make workflow more efficient between thanking donors and welcoming new subscribers. There are many opportunities for self-expression with the Stream Deck. You can even upgrade your onscreen antics with GIFs, images, videos, and audio. Why not apply lower thirds to finish your content with signature intro and outro graphics. DISCOVER A NEW ERA OF CONTENT CREATION Gone are the days of routing through countless windows to trigger an action, and only trusting automated plugins to increase your production value. Now, you hold the ability to discover a new cutting edge era of content creation. STREAM DECK15 x customisable LCD keys. Integrated USB 2.0 cable. ADJUSTABLE STANDRest your Stream Deck with ease whilst you livestream and create content. QUICK START GUIDEEverything you need to know. 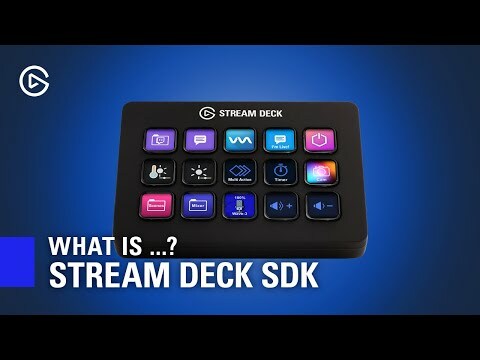 Elgato Stream Deck, Fully Customisable Content Creation Controller, 15 LCD Keys, Twitch/OBS/XSplit/Youtube Integration is rated 5.0 out of 5 by 1. Rated 5 out of 5 by Scotsy from Must buy for streamers Do you have far too many scenes in OBS or SLOBS? Do you want to take part in your mini-games in chat or have far to many emotes you want to spam but don't want to ALT + Tab to use them? Do you want to bring your YouTube or Twitch stream to the next level? 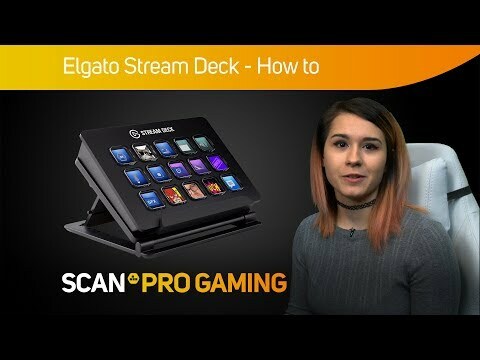 Then look no further, because the Elgato Stream Deck is the tool for you! 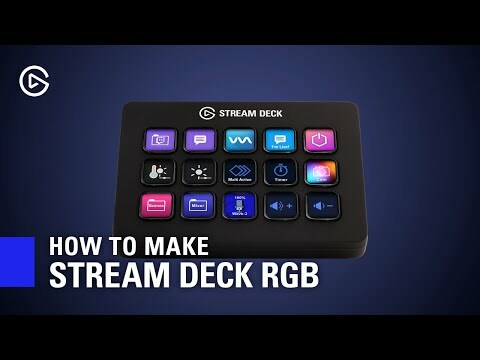 The stream deck has 15 buttons which is more than enough for all your scenes, plus it has a folder system so you can push one button, and suddenly have access to 14 other buttons, and you can have a folder in that folder for 14 more buttons on top of those! Endless possibilities! An example of the buttons I use: I have 8 scenes in OBS, hotkeys to mute and deafen myself in Discord*, OBS mute, and then 3 folder systems: -One to list 13 different sound bites using the build in soundboard -One for emotes -And one for chat messages like my latest highlights vid and YouTube links etc. * There is no integration into Discord just yet, which is a little annoying as I have to assign mute in Discord as * for example, then map the Stream Deck key as * - so for now I still actually use my Keyboard. Pros: -Saves me having to use hotkeys on my keyboard, so no accidental presses -Small and fits under my screen -Sleek black case design (though some may find this a con depending on their 'theme' -Updated fairly regularly with new integrations - Currently has OBS and SLOBS, a soundboard, Twitch, and Twitter, plus other small abilities - too many to name. -You can assign custom images to the small LED screens for easy readability Cons: -No Discord integration -Case colour if that bothers you -No ability to manually select the audio source output so you are forced to use Windows 10's garbage device preferences menu which doesn't work half the time. This is annoying if you use Voicemeter Banana or similar. -The Twitter integration can be annoying if you try to use emojis as they don't post correctly 100% of the time. --The £130 price tag is a tiny bit steep Overall, I'm incredibly happy with the purchase, though as I said £1300 may be a little steep to be honest, but overall, I feel my stream quality has improved vastly due to the ease of this tiny little black box. I use it constantly and couldn't be happier. 10 out of 10.